The question is are you building your list? One of the major down falls of marketing online is sending your lead (prospect) directly to your offer. Even if you make the sale, you are still behind the proverbial 8 ball. That persons name and email are worth far more than any commission you can make. Talk about leaving money on the table! Building your list must be the top priority in building your business. Ever notice how some marketers are able to promote a product and reach the leader boards within 48 hours or less? These marketers have massive lists of leads they have captured through similar systems as the ones I use below. I can personally tell you that having a list of people who have allowed me the privilege of having their contact information and name is GOLDEN! A great opportunity to create a productive and profitable relationship by providing them with good content, free tools, resources and most of all an easier way to build whatever business they have with what they need the most, “LEADS – Qualified Prospects”. Keep in mind that this is work, but this is work that pays exponential dividends as it grows. Each day of dedicated work will free you in ways no ordinary job ever will. Primarily because to succeed online you must create multiple income streams. Upgrading for me is always designed to increase my residual income streams, when I know they will pay for themselves and contribute to continual growth. I joined this program because they have a great promo video and was extremely surprised that with very little promotion it had built quite a few of my down lines. It takes some time to set up but the rewards by far exceeded what I had expected and have since increased promoting it. OBVIOUSLY! Run by a Canadian guy named Greg Chadwick, Master Marketer and I believe owner of Traxx Inc.
Free offerings are always a great attraction and lead generator, but they generate leads that are looking for free stuff. This is exactly how I was lured into Leads Leap. I immediately upgraded because the price demanded it for me at the time. It’s almost like they give me a spillover lead for every 2 free referrals. Now I know that it’s not what they are doing, but this is a definite viral system. Provides me some good consistent traffic and just recently has been feeding my PayPal account. 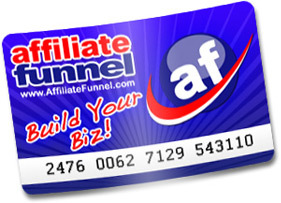 Another great lead generator is Affiliate Funnel. Great for initial build up of traffic exchanges, safelists and your programs. They simplify the essential process of building the down lines that create more traffic, providing more leads that ultimately lead to more sales and sign ups. Flip Your Downline, Fill Your Funnel! Join the ultimate marketing hub on the net and learn how to turn free leads using the best resources around into highly qualified buyers, team members and loyal clients. The following are sources where I get lists of leads. When dealing with lists like these caution must be taken. I use my own mailer software, email checker, tools and domain for these leads. I will go further in detail in a future page or post. If you cannot wait just drop me an email <biz@ezbizpro.net> and we can discuss the pros, cons, options and cost. I like the control but it does require a lot of caution. These leads must be cleansed, qualified and sorted. However, what is left is gold. Natural Law dictates: “You can only reap what you sow”. It is my sincere desire that you attain financial success in your business quickly. Using the natural laws of nature with a positive loving intent will always produce outstanding results – have faith. So, get to building your massive list and achieve your goals – So I may be blessed….